Norwegian grew its fleet in Europe this summer despite the economic atmosphere and has at least four deliveries on deck, but higher rates helped increase earnings in proportion to its capacity. 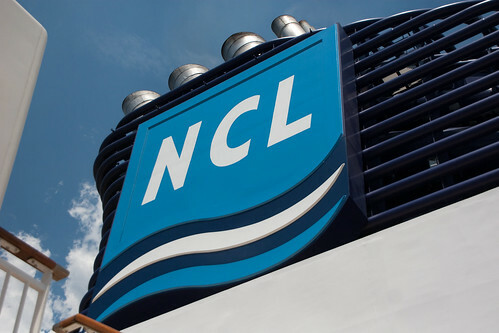 Despite having a record number of ships in still-struggling Europe, Norwegian Cruise Line reported solid earnings for the third quarter Wednesday. Net income for the Miami-based cruise operator jumped 19 percent to $128 million for the quarter ending Sept. 30. Revenues increased from $666.6 million to $674.4 million. Adjusted earnings before interest, taxes, depreciation and amortization increased 7.2 percent to more than $223 million. Despite a 13.5 percent increase in the cost of fuel, net cruise cost per capacity day dropped 3.3 percent due in part to the timing of maintenance and repair costs and lower operating expenses on ships. Net yields, or the revenue per capacity day, increased a percent thanks to higher ticket prices and onboard spending. Kevin Sheehan, Norwegian’s president and CEO, said the company increased the number of ships in Europe this summer to four for the first time. The industry — especially in Europe — has been recovering since January from the deadly shipwreck of the Costa Concordia in Italy. And economic woes in some European countries has also taken a toll on cruise companies, which have been forced to lower prices to stimulate demand. Despite those setbacks, Sheehan said, the company is still working to command stronger rates. Sheehan said business in the coming year is expected to be good. The company will welcome new 4,000-passenger ships in April 2013 and January 2014 and announced last month an order for a new 4,200-passenger liner to be delivered in October 2015 with an option for another in 2017. Bookings for the ship being delivered next year, the New York-based Norwegian Breakaway, have been encouraging, Sheehan said. But he wasn’t immediately sure what kind of impact Hurricane Sandy’s strike on the Northeast would have. (c)2012 The Miami Herald. Distributed by MCT Information Services.